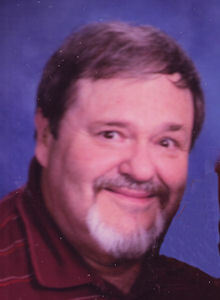 Thomas P. Vaughn, age 71, of Lorain, passed away unexpectedly in the early morning hours of Tuesday January 15th, 2019. He was born in Lodi, Ohio on September 29, 1947 and was a graduate of Amherst Marion L. Steele High School. Tom had been employed as a job setter for the Ridge Tool Company of Elyria; he retired following forty-four years of service with the manufacturer. He was an avid outdoorsman who enjoyed golf, fishing, hunting, and boating in his free time. He also formerly enjoyed racing his Dodge Super Bee at the Norwalk Drag Strip (now Summit Raceway Park). Additional interests included testing his luck on lottery scratch-off tickets and enjoying the companionship of his pet cat Lucy. Tom leaves his wife of forty-five years Marianne (nee Homola), sons Jeff of Columbus and Bobby of Lorain, along with daughters Janelle of Elyria, Julie of Columbus, and Jennifer of Lorain. Additional survivors include thirteen grandchildren, and five great grandchildren. He was preceded in death by his father Robert in 1989 and mother Vivian (nee Smith) in 1998. Visitation will be Monday from 1:00 until the time funeral services at 4:00 p.m. in the Gluvna-Shimo-Hromada Funeral Chapel, 3224 Broadway Avenue, Lorain. Reverend Josh Smith, lead pastor of the Amherst Family Fellowship will officiate. Cremation will follow. Either the Amherst Family Fellowship, 780 Cooper-Foster Park Rd., Amherst, OH 44001, or the Ohio Association of the Deaf, 14856 Alger Rd., Cleveland, Oh 44111.